So I checked in to my Lufthansa flight last night on my iPhone which ended with the boarding passes being added to my Wallet on my phone. 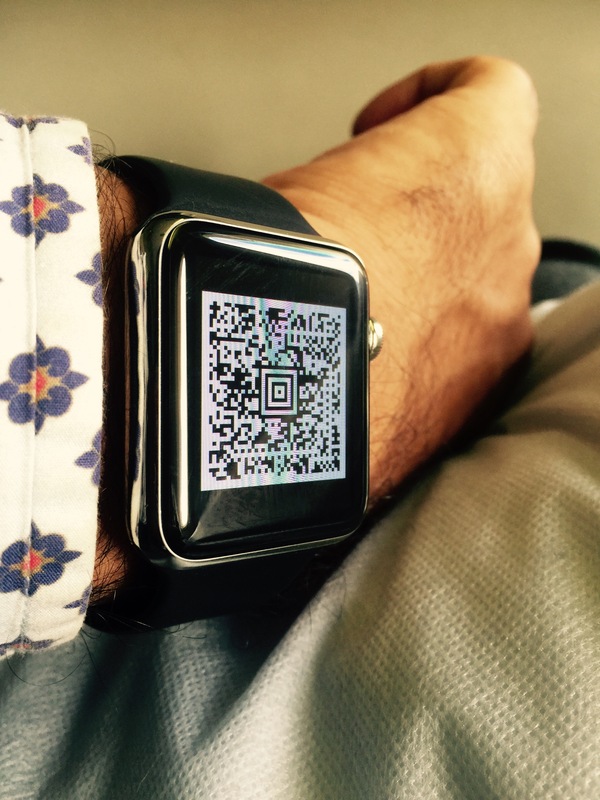 This morning, when I arrived at the airport and swiped up on my Apple Watch screen, the boarding pass was already there!.When I swiped into it I could also have the QR code show up. I didn’t do anything to make it happen. The Apple Watch is just an extension of my phone, which is an extension of my life. Due things like these, I can just leave my phone in my bag and not have to take it out as often as I did before I got my Apple Watch. 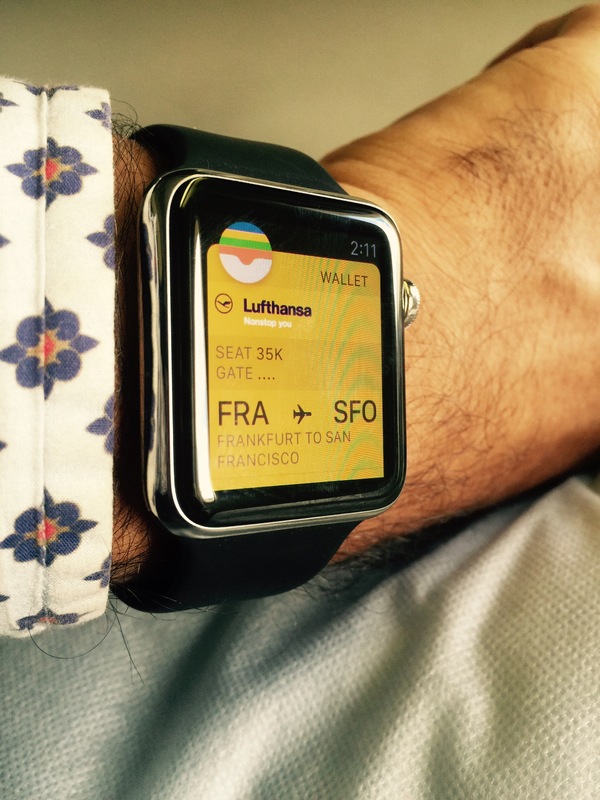 I get asked a lot, is an Apple Watch worth it? It all depends on your use case and how much value you put on what it enables. In 2007 when the iPhone was launched, people asked the same question. 8 yrs later today, a lot of people have smartphones that never thought they ever would. In the same way, eventually humans do pay for increasing their capabilities and capacity (ever buy paper, or a notebook to write on? ), and they pay for things that reduce friction in their lives (when was the last time you milked a cow? ), and they pay for improving the quality of their lives (are shoes worth it?). The Apple Watch is nice hardware, feels great, has a beautiful display, tracks my steps, my heart rate, my sleep, and it feels way more naturally integrated into my life than holding a phone – the trade-off being the depth of interaction. Apple seems to have really degraded in software quality lately. I updated my iPhone 5 to iOS 6.01 yesterday. It was weird enough that iOS 6.0 needed a separate app to be downloaded which would restore OTA updates. But the update said it fixes some LTE issues where the radio doesn’t reliably connect to the network. I have encountered that issue and thought this update would fix it. Guess what? My LTE is gone. My iPhone 5 now only gets download speeds of 0.5MBPs or less. In comparison my iPhone 4S used to get 3MBPs on 4G. And it’s way less than my LTE speeds of 30MBPs. 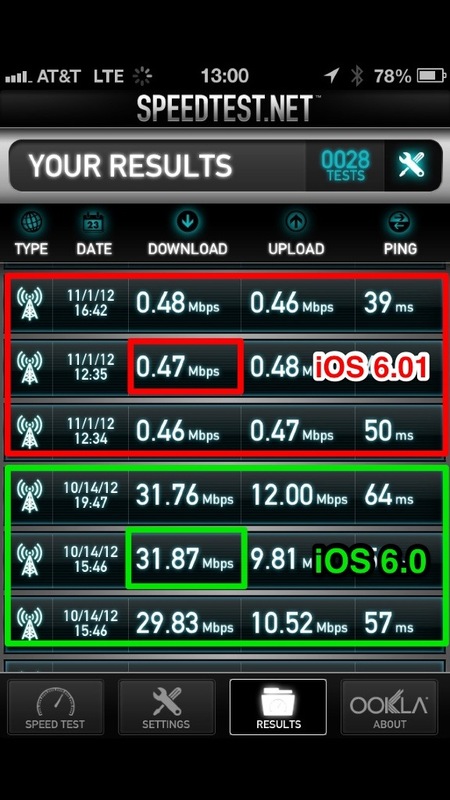 Here’s a table that shows my speeds before upgrading to iOS 6.01 and after. This is just bad. What kind of a software company releases a patch to fix an issue and ends up breaking stuff on the latest hardware? Of course, this is probably not a 100% repro or it wouldn’t have been released. So YMMV. Bad maps, low software reliability, easily scratching body, unnecessary upgrades to dock connectors. I have enjoyed using Apple products but this might be the lowest point for Apple I have experienced in a while. One of the biggest technology news this week has been the announcement made by Alasdair Allan and Pete Warden, researchers at O’Reilly, that theiPhone keeps a log of every location you have been to over the past one year and more. One could argue that it isn’t really news but it definitely is a rude surprise to most people. More so because the researchers also made a tool which makes it super easy for anyone to easily parse the contents of the file their own iPhone has been keeping on them. Though I agree that saving an indefinite history of sensitive location data without explicit user notification is a terrible oversight at the least, I was also tempted to see what my own data held. So I went ahead and here’s what it looks like. My iPhone faithfully recorded my road trip halfway across the country, my SXSW visit to Austin, Bay Area and LA trips and also my trip to Michigan and Ohio. I think it makes a very interesting sharing object at this level of zoom. 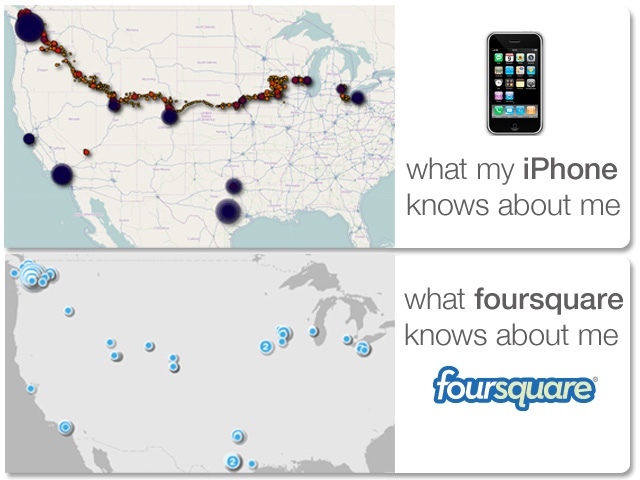 Especially because I have been voluntarily giving that data to Foursquare anyway. Foursquare is a lot sparser than the iPhone data but it has more explicit knowledge of the exact business/venue I went to as opposed to the iPhone data that can only be used to make a reasonable guess. However, overall the data that the iPhone has been accumulating is obviously more exhaustive. I am curious to run more detailed analysis on my own data, and possibly compare it with other people I know and other data sources I have to see what interesting stuff I can find. For example, it would be cool to see how much time my wife and I spend with each other and how it correlates to how many steps I took that day, what I ate, or what music I listened to. Are we really as unique and different as we like to believe or are we just predictable dots on the map? At a higher aggregate level, data from cellphone carriers has already been used to find that we actually are quite predictable! If you are as annoyed as I often feel about the tiny length of the USB cable that comes with the iPhone then you might find this useful. 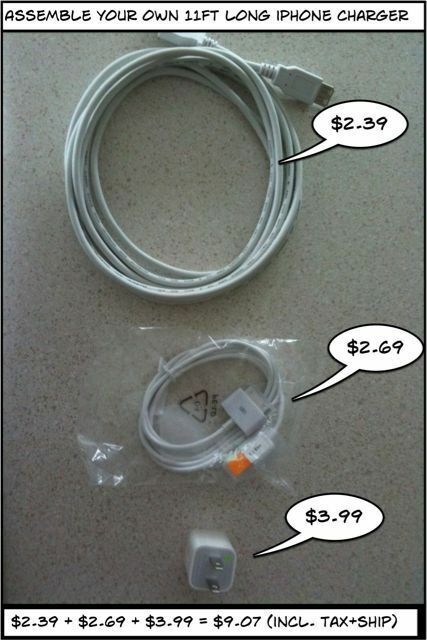 Instead of dishing out $18 for an extra USB cable from apple, consider spending just $9 buying the following parts off eBay or newegg to make your own charger of any length you please. I find it really convenient when I know I am near an AC outlet and want to just sit and do stuff on the phone without feeling tethered to a wall or the USB port of my computer.